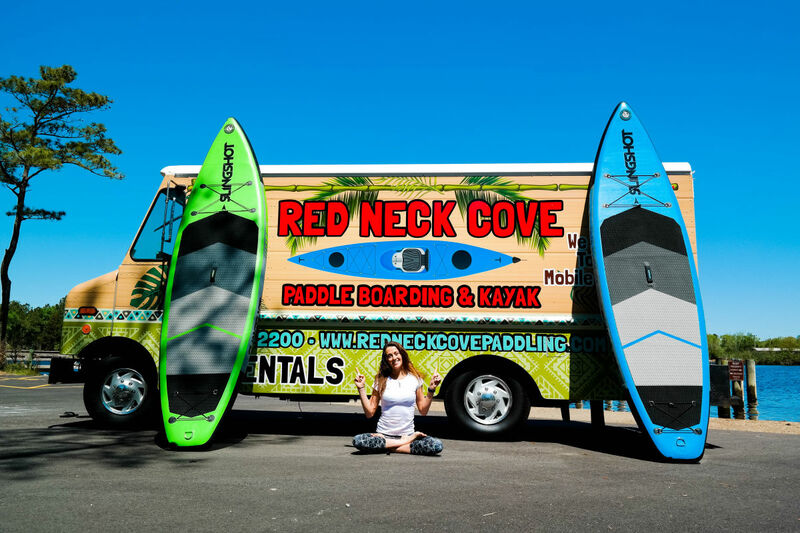 Red Neck Cove Paddling is a mobile/delivery kayak and paddleboard rental service. Our customers book online, pick their location/drop off point and time of delivery and once their 2 or 8 hour time is up, we come to pick up. Each customer must sign a waiver upon arrival for 18 and older or have a legal guardian sign for anyone under the age of 18. 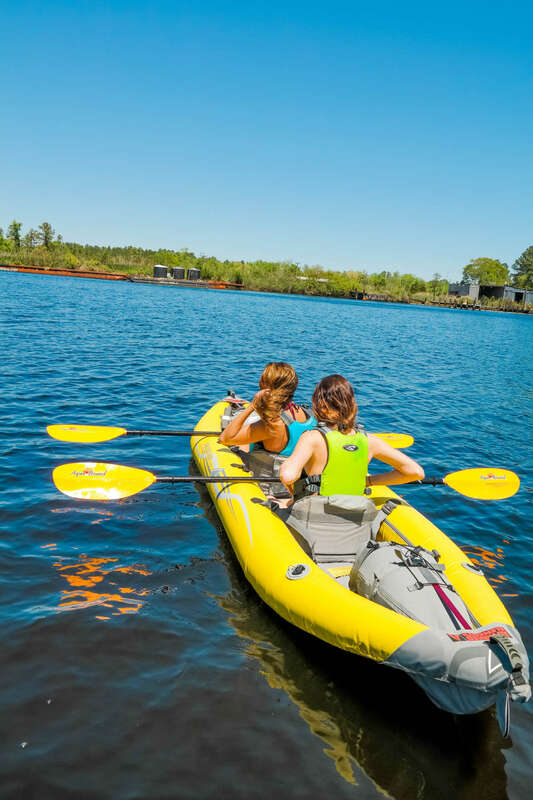 Life jackets are included for each individual, as well as a paddle. 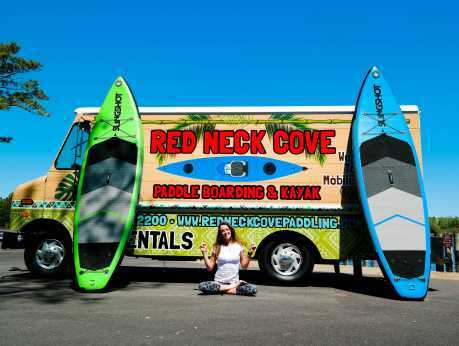 All of our paddleboards and kayaks are inflatable and the kayaks can hold 1 - 3 people or 500 pounds. We have two vehicles that deliver, one is a truck with a shower head attached to the outside for rinsing off. There is a safety fog-horn on our bid truck to alert paddlers of a storm.